An online retail manager from Essex has become the first person to complete a charity’s 1,000-mile cycling challenge, reaching the target in less than a month. Gina Cleere, from Basildon, was inspired to take part in Alzheimer’s Research UK’s Cycling Down Dementia challenge because her father, Michael Elliott, has dementia. Michael, 77, was diagnosed with dementia with Lewy bodies seven years ago and is now in a care home. The initiative, which launched at the beginning of November, challenges cyclists to ride either 300 or 1,000 miles before the end of January and raise £150 for pioneering dementia research. However, Gina, who is one of the top female long-distance cyclists in the country, reached 1,000 miles before the end of November and has set a new target of 3,000 miles. 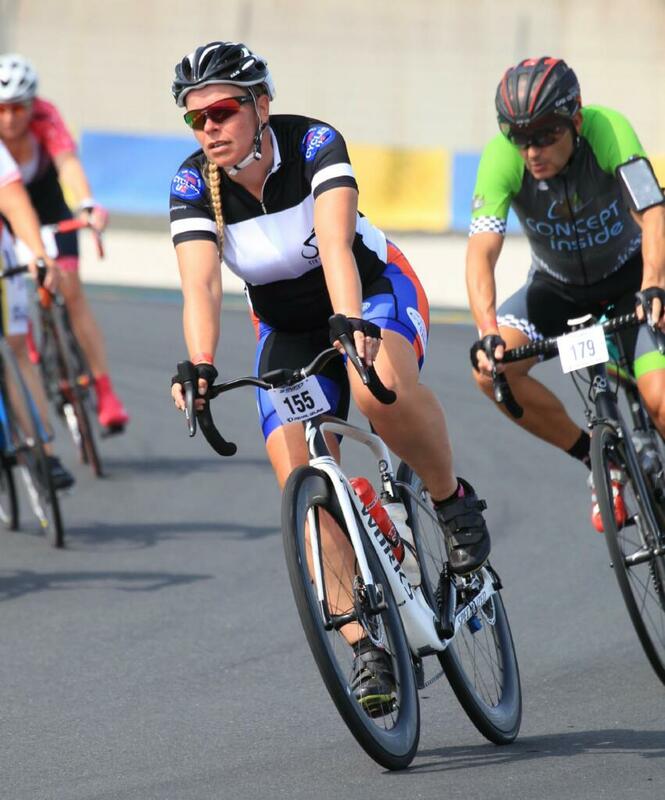 The Essex Roads Cycling Club member has been riding around 300 miles a week, although this is 100 miles less than her usual weekly training distance – around 30 hours of cycling – as she is recovering from deep vein thrombosis in her calf. Gina, who works for Tesco, only took up cycling in 2015. She was looking for a new activity after having to give up competing in dressage when her horse died and she could not afford to buy another of a similar standard. 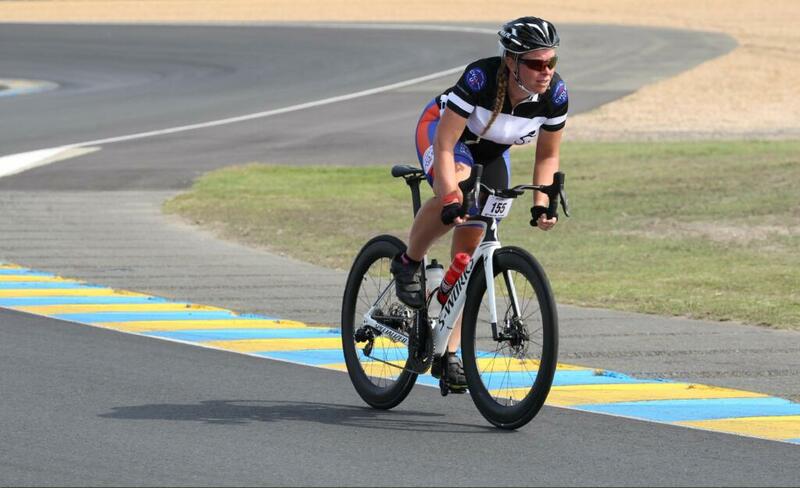 After buying a bike through the Bike2Work scheme, she took to the sport with a vengeance and has had a lot of success, including breaking the Tilnar Challenge ladies’ distance record and finishing as top female at the Le Mans Velo 24-hour race and Revolve 24 at Brands Hatch. Gina said cycling long distances has helped her cope with the stress of seeing her father’s decline with dementia. “My dad was diagnosed seven years ago but we started to see signs around 12 years ago. My dad was a gadget man, he was always ahead of the times. But he started to struggle to use his gadgets. He kept asking me how to do things like downloading photos onto the computer. “He had terrible hallucinations. The first time my mum realised something was wrong was when they went on holiday to Thailand and he started hallucinating that there was water coming down the walls in the hotel. He got himself in a real state. “He also gets very hung up and worried about things. He was a sailor so his worries are often related to that, such as being convinced he’s going to drown or sink. “He can’t manage his own personal care, his own day-to-day life. But he still knows who we are. He’s able to hold a conversation you can understand. You can get into his world and communicate with him. 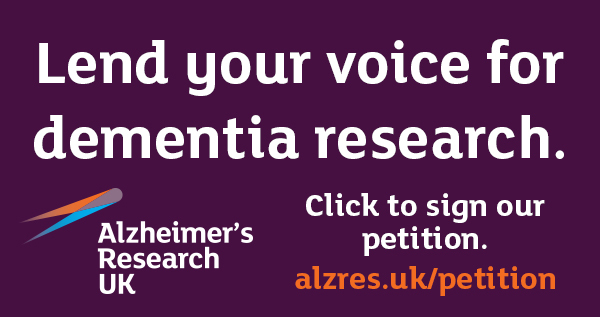 There is still time to sign up for Cycling Down Dementia. To take part go to www.cyclingdowndementia.org, choose either the Pioneer (300 miles) or Epic (1,000 miles) challenge and connect a tracking app such as Strava or MapMyFitness. Participants can clock up the miles on the road or on an indoor bike. Anyone who raises more than £250 will receive a free #TeamARUK cycle jersey. “We are in awe of Gina for completing the 1,000 miles so quickly and wish her the best of luck in trying to reach 3,000 miles.